Naomi Cramer Overton is an expert on millennial families living out their meaning in ways that give them, and those they serve, life. Most importantly, she knows moms and she knows mission. Overton was the President and CEO of MOPS (Mothers of Preschoolers) International, where she led and learned from more than 250,000 millennial and Gen-X families. She also worked as a management consultant to Fortune 500 companies including Apple Computer, Hewlett-Packard Company and Ken Blanchard Consulting. Following her own parents’ example of loving children in poverty, she started the “No Mom Alone” movement at MOPS including a focus on serving. She went onto serve as USA Child Advocacy Director at Compassion International. She now walks alongside some of the USA’s most influential Christian families-on-mission, as National Director of World Vision’s National Leadership Council. Overton has worked as a news reporter for NBC Network News and affiliates of ABC and CBS in San Diego and near Sacramento. And she has represented family-focused ministries at the Third Lausanne Congress on World Evangelization in 2010 and on the North American 4-14 Movement Steering Team. She won the American Marketing Association, San Diego chapter’s, award of excellence for online marketing. A graduate of Stanford University—earning a BA in political science with an emphasis in communications—Overton earned her MBA in organizational entrepreneurship and marketing from UCLA’s Anderson School of Management. She launched from the M.A. in global leadership from Fuller Theological Seminary to a doctorate in missiology focusing on how cross-cultural service learning may relate to spiritual formation of young American families. Most importantly, Naomi helps millennials and Xers find courage and clarity to discover and do what they were made to do, as they live both inwardly and outwardly. 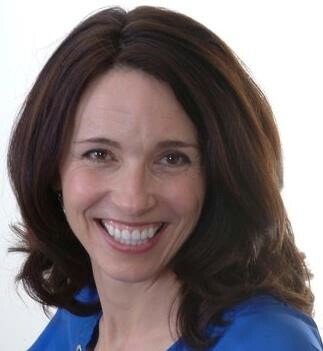 In the course of her doctoral research with Fuller Theological Seminary, Naomi identified the kinds of experiences that help families flourish and has implemented these through a curriculum to help American families connect with families in poverty, through a curriculum she created that has reached more than 30,000 families (Step into My Shoes®). Her dream is to nurture holistic development so that Jesus’ love radically blesses generations. The seeds for Naomi’s passion to equip families to serve and grow together were sewn when Naomi witnessed her own parents’ faithful living and service. Naomi and her husband Frank have watched for and encouraged each of their kids’ unique ways of loving their world. They are parents of four children, one who died in infancy, and have raised three to teen years and young adulthood. As a mom who has grieved a child, had two kids with special needs, and known children at risk served by MOPS, Compassion and World Vision, Naomi has discovered this: God is enough, even when our children, and we, struggle.